CSX2451 often shows up as the "mystery Cobra." 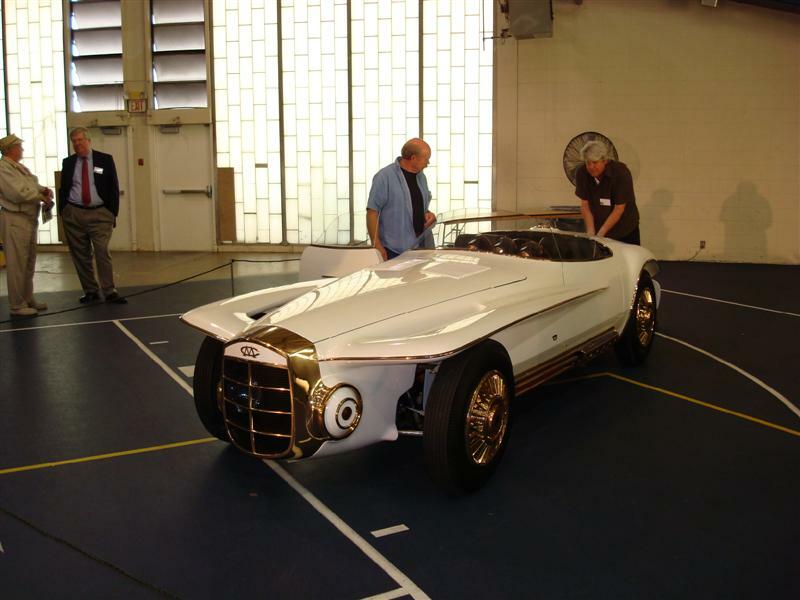 Purchased as a chassis from SAI, it was stretched and rebodied as a show car. 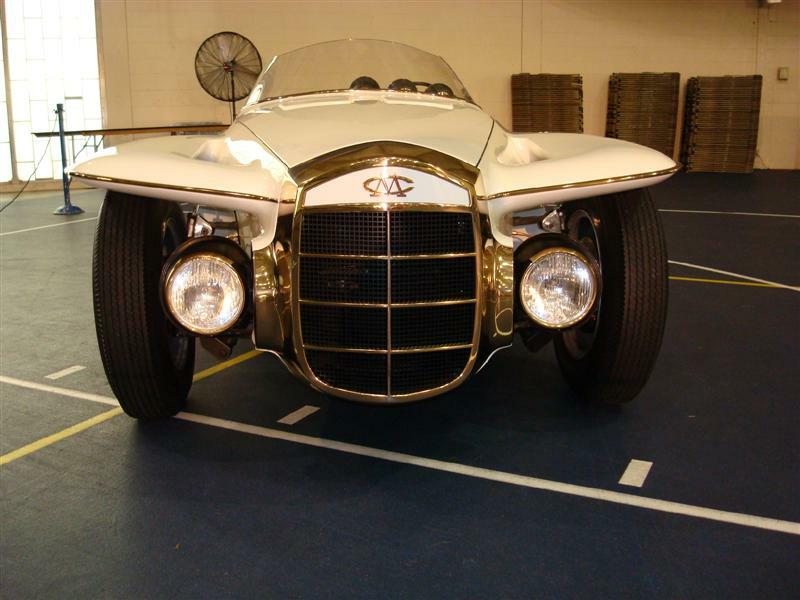 The design was the work of Virgil Exner Sr., the famous designer from the Chrysler 50's era. 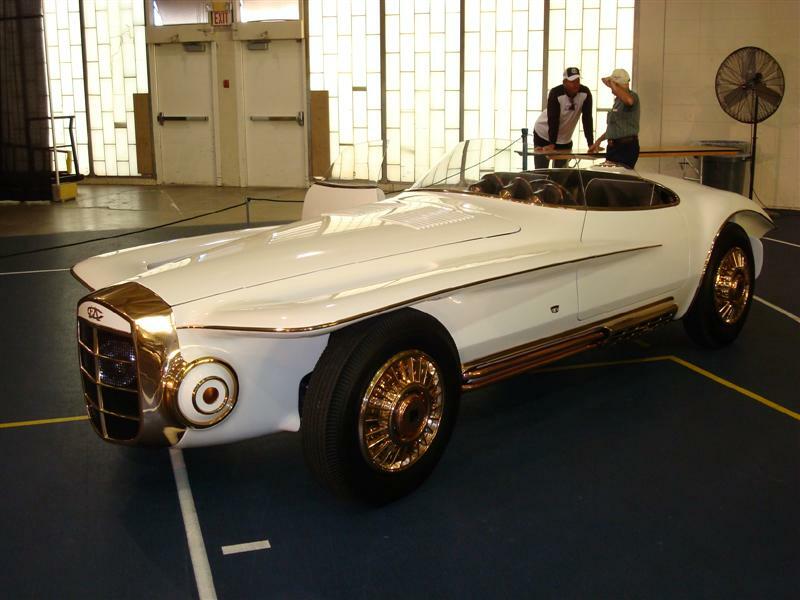 "...Virgil Max "Ex" Exner, Sr. was an automobile designer for numerous American companies, notably Chrysler and Studebaker. He is known for his "Forward Look" design on the 1955 through 1961 Chrysler products and his fondness of fins on cars for both aesthetic and aerodynamic reasons." Exner did the milestone design of the Chrysler 300C...fins and all. I had a few old and grainy pics of the Mercer Cobra, until recently when a good friend sent recent pics of the car in a rare showing last year. He has allowed me to share the images. Back in 1963 Virgil Exner Sr. designed a series of revival cars from many now defunct car manufacturers to show how he thought they might design a car today if they had survived and one of those was the Mercer. 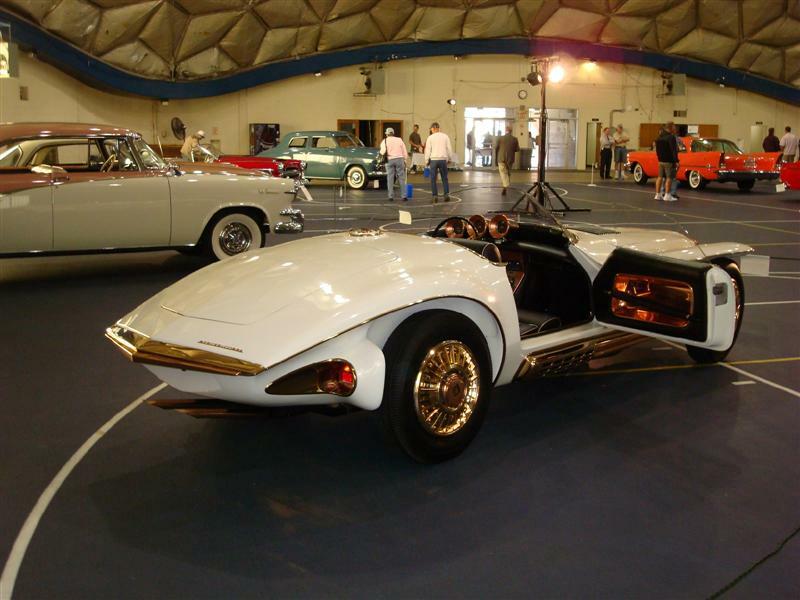 Then in 1965 the American Copper Development Association picked Exner’s Mercer design to actually build this car and bring it from paper to reality. They purchased chassis number CSX2451 from Shelby and lengthened it 18 inches to start the build of this one and only 1965 Mercer Cobra. 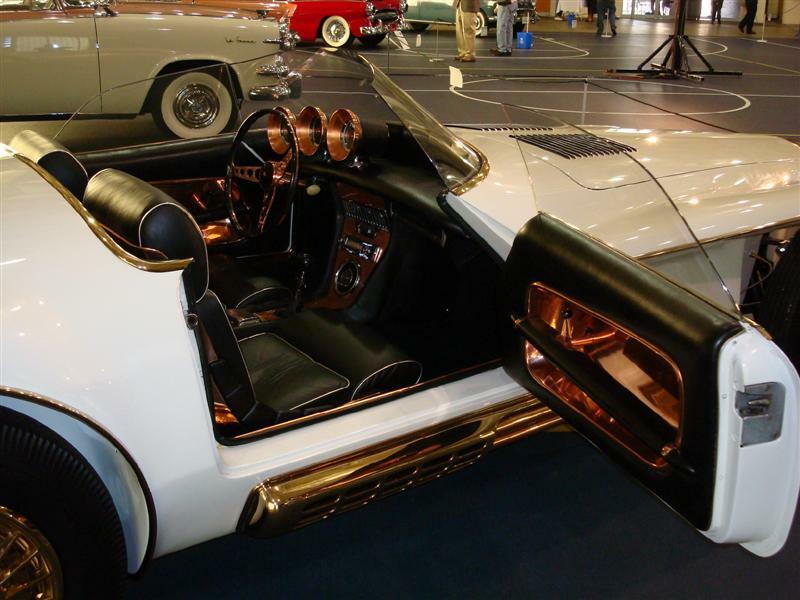 The coachbuilder chosen was Sibona-Basano from Torino Italy who built the body and as you will see from the photos used plenty of copper and bronze to adorn this custom body. The engine was a Ford 289 installed and purchased from Shelby’s stock of CSX chassis Cobras being built in the same time frame. Today this car is owned by William Lyon who also owns the Ghia bodied Bugatti another car designed by Exner Sr. Now on September 29th 2007 Virgil Exner Jr. Exner Sr. son and Peter Grist an automotive journalist and author of a new book about Virgil Exner Sr. titled Visioneer, the official biography of a designer extraordinaire held the Era of Exner Event at the University of Notre Dame in South Bend, Indiana. With the book signing and 10 automobiles from Exner’s milestone cars my friend Jim Milliken who brought his 1971 Stutz Blackhawk as another one of Exner’s 10 milestone cars took these pictures for me of this one and only built 1965 Mercer Cobra. As a Cobra enthusiast I am glad to share these pictures and this story with you. Definetly , without a doubt , the Ugliest car i have ever seen.It is such a shame to know a Great CSX car was butcherd into that abomination. I dont like it but I learned something interesting. Ironically, being a mopar fan, I always thought the early 60s cars were some of the ugliest things Dodge ever put out. Now I know why. That Mercer Cobra almost makes my eyes bleed. Should have been called the Mercy Cobra. Interesting piece of history though, thanks Ron. Dang, are you sure that isn't Jules Vern car. My ex car. Sad to see it go. Mercer was not quite the name. Looks more like Elvis designed that car after a peanut butter and banana binge. Strip that copper off - worth a fortune in China!!! This thread cost me 30 seconds of my life that I'll NEVER get back. I kinda like it. 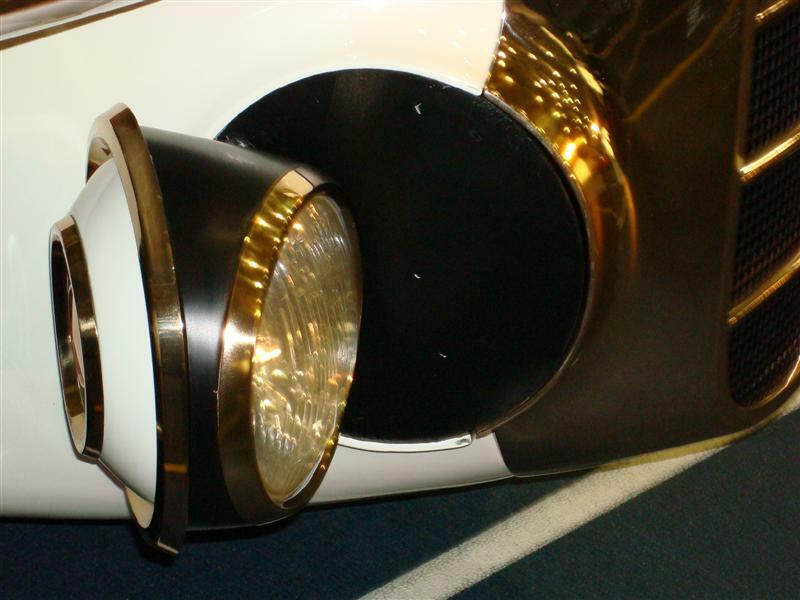 I hadn't noticed the openings between the wings/fenders and the hood before. There are way uglier cars. How about AMC Pacer, Volkswagon beetle, Pontiac Aztek, and a ton of others? Cobra Make, Engine: 1969 Mustang Fastback Pro-Street, constantly changing ongoing project! Life is not a journey to the grave with the intention of arriving safely in a pretty and well-preserved body; but rather a skid in broadside, thoroughly used up, totally worn out, and loudly proclaiming, "WOW, WHAT A RIDE!" ItBites - thanks for not bringing up the Edsel in that list. Looks like the Mercer Cobra Roadster went to auction. Expected $800,000 to $1.2 million. The special Mercer-Cobra Roadster will be put to auction on August 20, 2011 in Monterey with an expected draw of $800,000-$1,200,000. Now that was in August 2011. Anyone know what happened?